Drinking a glass of Champagne normally signals a celebratory moment, but in our world there’s always an excuse to pop the bubbly! With the vast choice of different champagne and sparkling wines now becoming available, the choice of glass types and is also ever expanding. There are many different glass types available for Champagne and similar to wine, the shapes and styles vary accordingly to different manufactures and what type of champagne they’re designed for. Next time you’re looking to pop the bubbly and throw a party to celebrate, remember the glassware is just as important for your enjoyment! 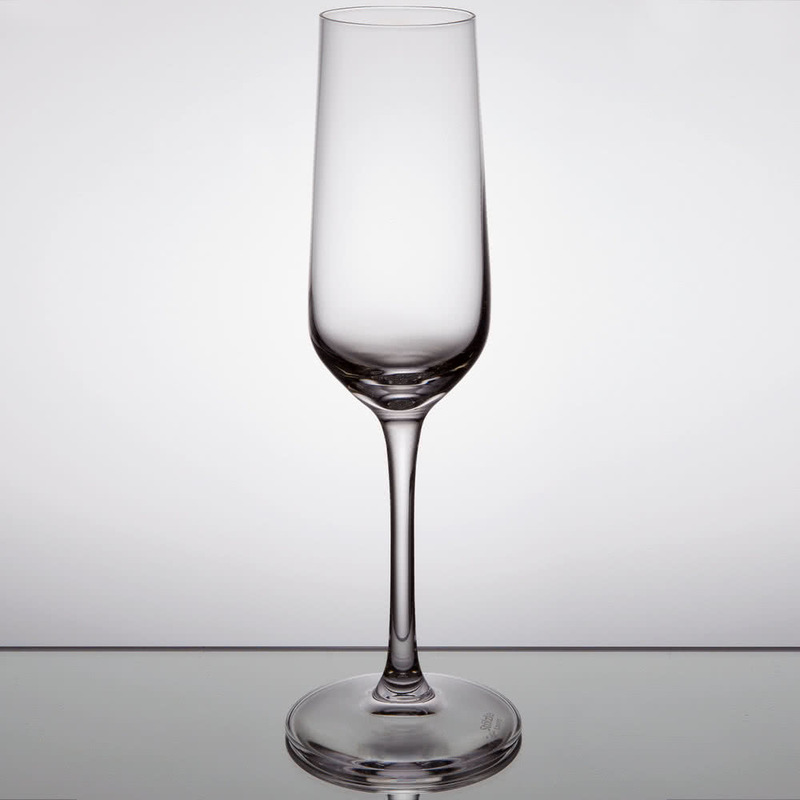 The flute style is typically the most popular glass shape for champagne; it looks elegant and features a nice long stem making it easy for the hand, it’s probably the most recognized as well. 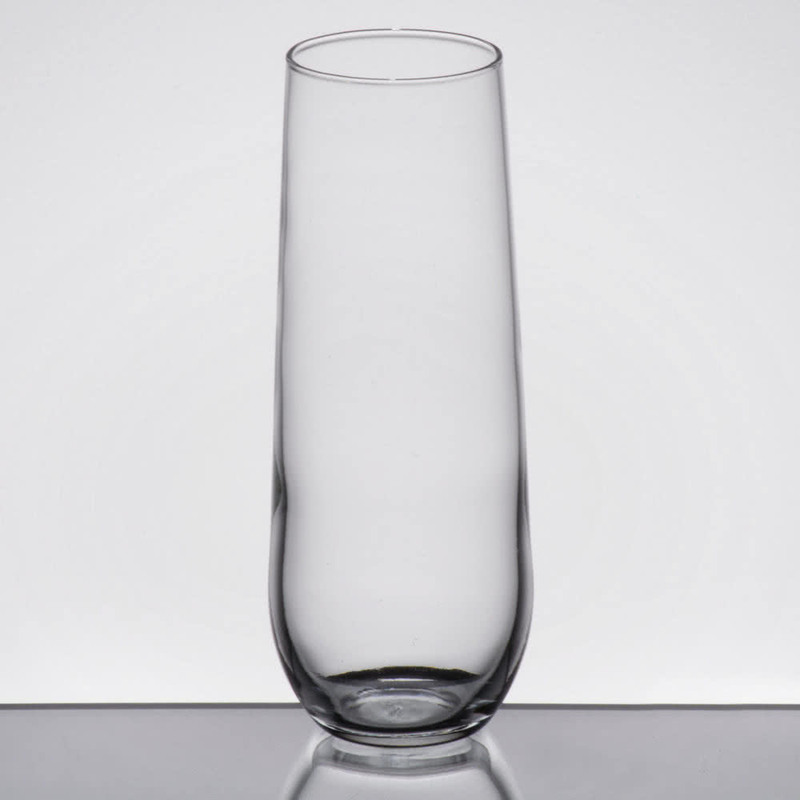 The elongated shape provides you with a good sized serving, allowing plenty of champagne to be held within your bowl and excess bubbles on the initial pour from bottle to glass. The long stem is essential as it allows you to place your hand there, rather than on the bowl thus preventing your wine from warming too quickly and stops your fingers from marking the glass. 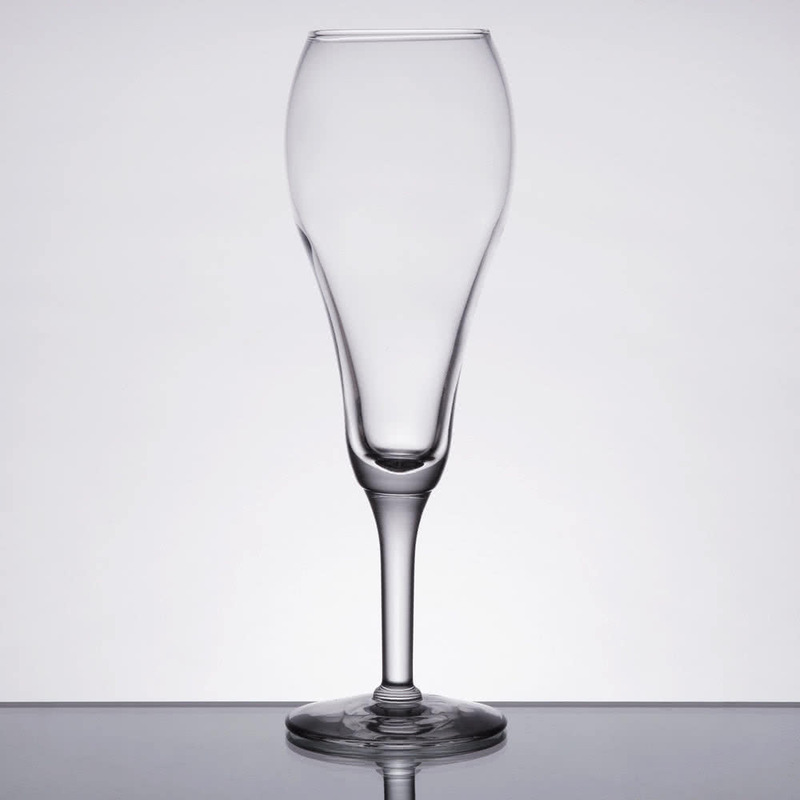 The tulip shaped champagne glass is different to the flute because of the narrow top and the wider bowl. The key to this glass is only filling it half the way up the bowl, the widest point in fact. Why? Well this glass shape traps the aromas inside the bowl, preventing them from spilling out into the open air. This in turn will give you a better flavor, taste and aroma, a better overall experience. Like the flute, the stem allows you plenty of room to hold the glass and prevents you from smudging your finger marks on the bowl, this then won’t distract when watching the bubbles race from the effervescent point at the bottom to the top. 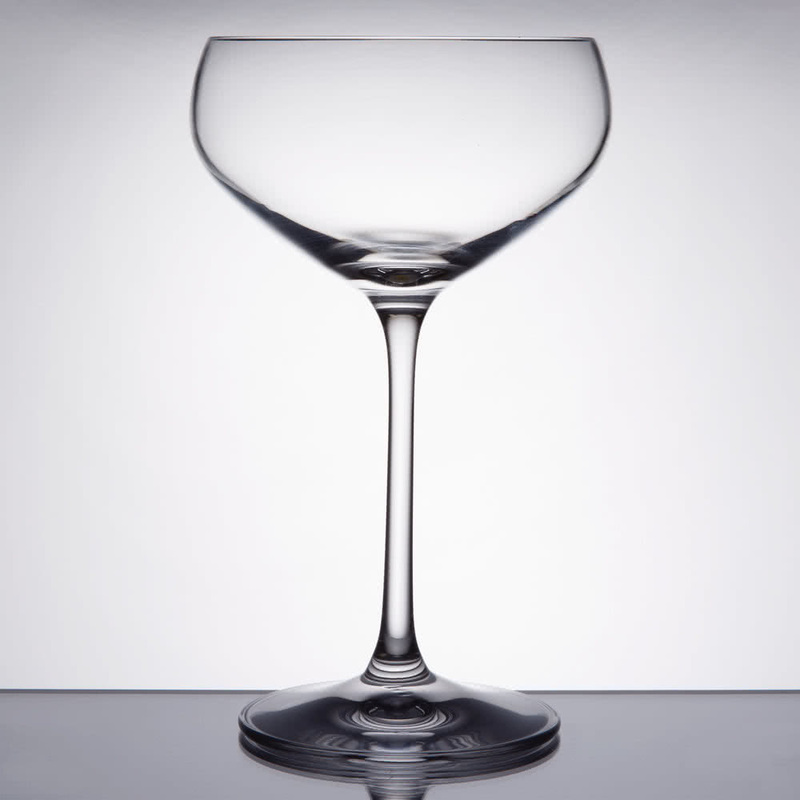 The saucer / coupe champagne glass type is a more traditional and what I like to call ‘old school’ shape. This original style is often associated with the previous century, when there was a limited amount and variation of glass types. This shape doesn’t really allow you to watch the bubbles bounce off of each other like the above two do but this is however quite a sophisticated, elegant and traditional way to drink Champagne.You’ll often find this champagne glass type in ‘old-world’ restaurants and sometimes in high class establishments offering that little something more different and quirky. From the traditional shaped coupe’s to the new and unique stemless champagne glasses. Here there is no stem, simply a bowl shaped to maximize the taste and aroma of the champagne and designed not to be easily tipped over unlike its stemmed rivals. The downside to this type of glass is that you’ll be left with finger marks on the glass and you’ll inadvertently be warming the chilled liquid inside the glass by using your hand. It is however, a unique and quirky design and something that little bit different to your average champagne glass. Once you’ve chosen the right champagne glasses for you, your celebration or just because you made it through another day, we recommend you to try them out as quickly as possible. To ensure you’ll have a nice bottle of bubbly waiting, hop on the Splurge App and order a couple varieties today. This entry was posted in Uncategorized and tagged champagne, cocktails, glassware, Splurge. Bookmark the permalink. ← Splurge, at your service!